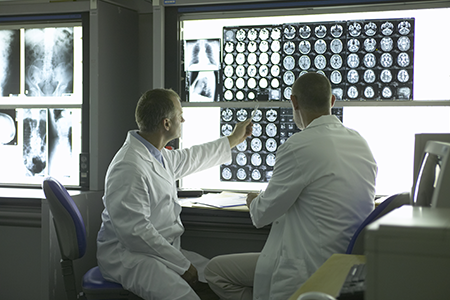 Neurofibromatosis is treated within GWCC’s Neuro Oncology Program. Neurofibromatosis is a genetic disorder that causes tumors to form on nerve tissue. These tumors can develop anywhere in your nervous system, including your brain, spinal cord and nerves. Neurofibromatosis is usually diagnosed in childhood or early adulthood. The tumors are usually noncancerous (benign), but sometimes can become cancerous (malignant). Symptoms are often mild. However, complications of neurofibromatosis can include hearing loss, learning impairment, heart and blood vessel (cardiovascular) problems, loss of vision, and severe pain.